Ohio indie band Cloud Nothings break from their lo-fi style with their newest single "Internal World." This new track features a much more polished recording style, foregoing the raw vocals that they have been known for. Perhaps this new style is influenced by the band's 2015 collaboration with Wavves, who have a more "hi-fi" style. The song still retains the heavy pop-punk influence that the band is known for with its drum patterns and repetitive chorus. The lyrics are poetic, pointing to themes of personal understanding, as well as reactions to the world around one. 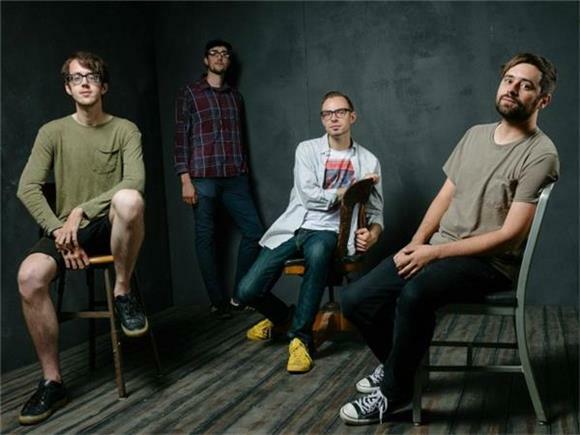 Although this updated sound may draw a larger audience, the single is likely to alienate a number of Cloud Nothings fans who expect more aggressive vocals and less heavily produced music from the band. This song comes from Cloud Nothings' upcoming album Life Without Sound, which is set for release on January 27th. Judging by this single, as well as the previous one "Modern Act," it's likely that this album will follow this stylistic theme of more refined production and vocals. The band also announced an upcoming tour of North America and Europe, which you can find HERE.